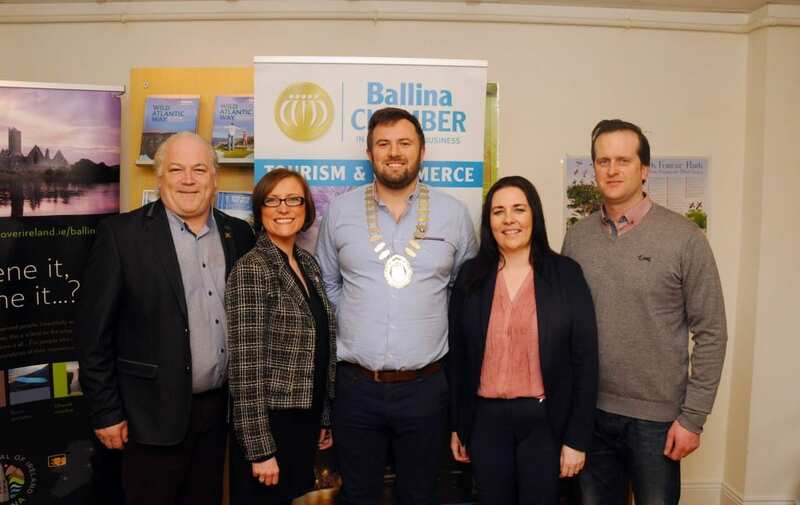 Hugh Rouse of Rouse Insurance has been elected as the new President of Ballina Chamber of Commerce. 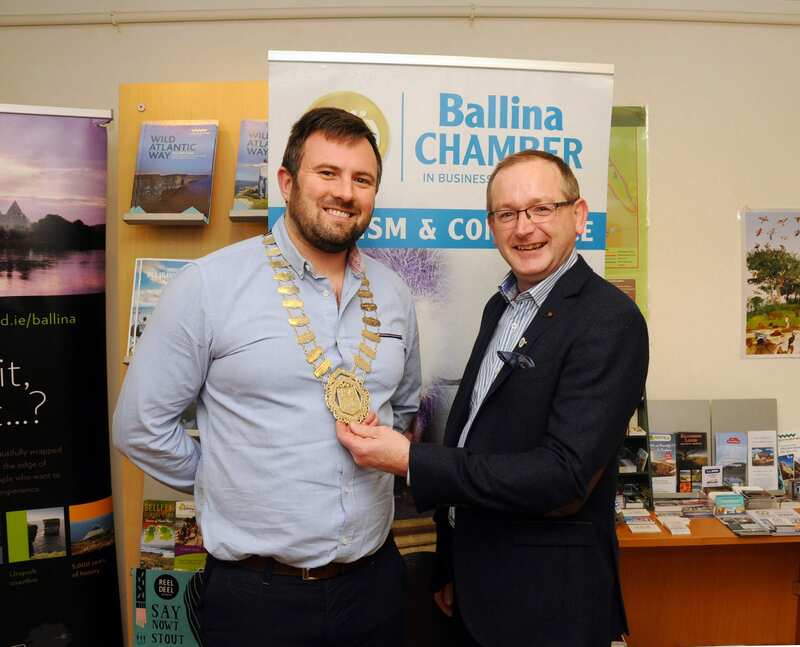 In his address, he paid tribute to the outgoing president, Paul Regan, and thanked him for the very valuable contribution he made to the Ballina business community in the previous two years as Chamber President. 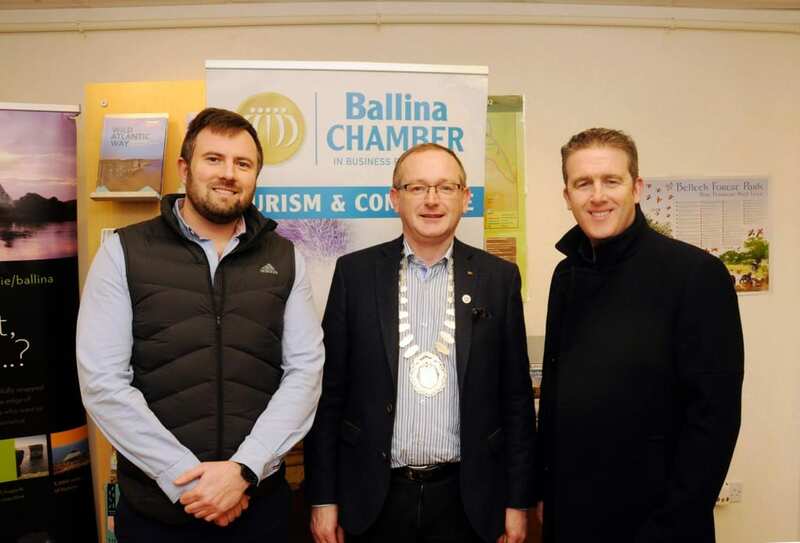 He also welcomed his Chamber team, Gerry Luskin, of Luskin’s Bistro as Vice President, and said he was looking forward to working with him along with Chamber Secretary, Jane O’Hora, of The Broken Jug, Greg Connolly of Ballina Motorcare and newly appointed PRO and President of Mayo Chambers Brian Hopkins of Ezewarm. Mr Rouse said: ‘Tremendous work has been completed in the last four years in the town by the Chamber of Commerce, with membership growing year on year. 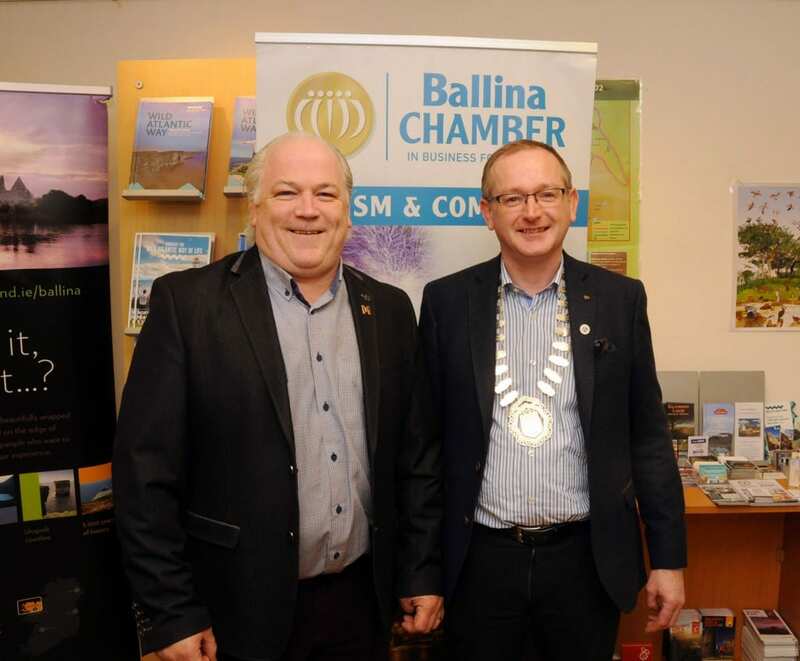 I am in a fortunate position that the Chamber is on solid foundation and has now become the voice of Ballina. 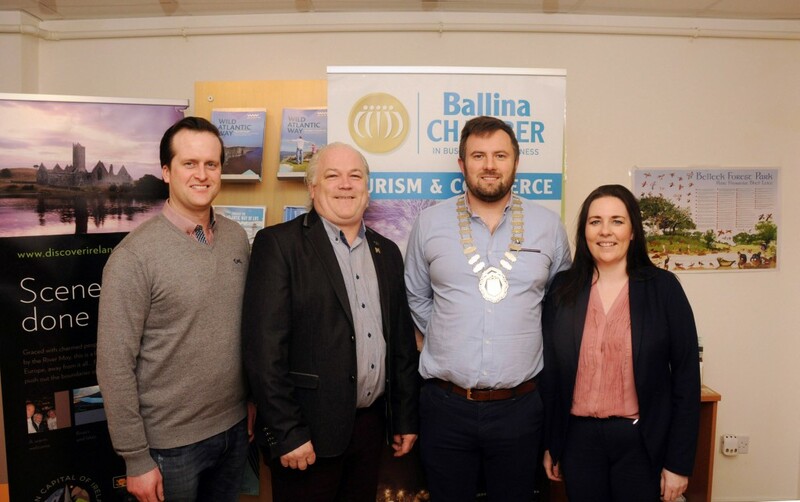 Thanks to our members we are a leading Chamber in the West of Ireland, Ballina Chamber of Commerce helps its members to grow and maximise their business while also ensuring growth and prosperity for the town as a whole. Membership is open to everyone and we welcome all new members. 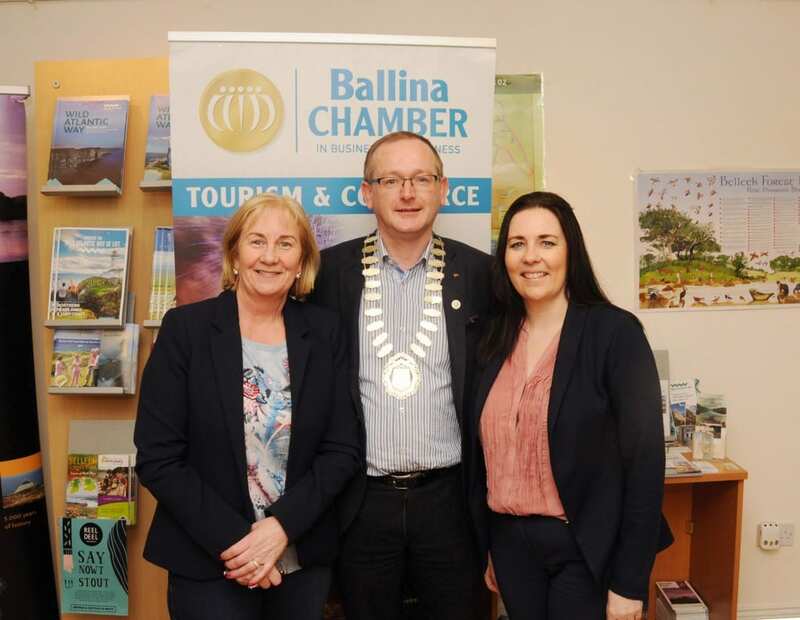 ‘We are very fortunate in Ballina that such a team exists at both management and council levels which have been successfully driving the chamber forward over the years’. This is greatly appreciated and has allowed for festivals, events and facilitates the enhancement of the town. Hugh is keen to develop further links with local enterprise, and to encourage more membership from the people in the town and beyond . 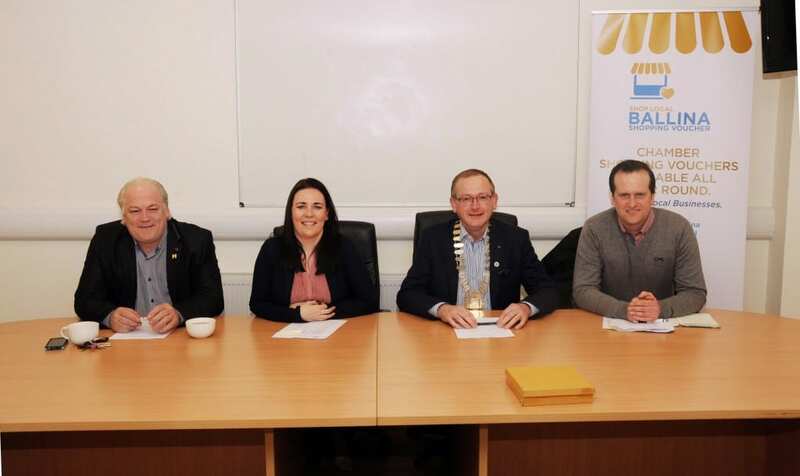 It is his intention to forge greater links and ‘build bridges’ with other stakeholders in Ballina, who have the town’s development interest at heart both locally and nationally.